James Murphy disbanded LCD Soundsystem in 2011, ending on one triumphant night at Madison Square Garden. Directors Dylan Southern and Will Lovelace were on hand to document the before, during and aftermath of the experience in 'Shut Up And Play The Hits'. There is life after death. Watch the trailer below. This documentary has been made by the same team behind the well-received Blur documentary 'No Distance Left To Run', and judging from the trailer, it's definitely been left in safe hands. The documentary debuts at the Sundance Film Festival presumably preceding a wider release. Maybe even the London branch of Sundance? For more info, go to shutupandplaythehits.com. 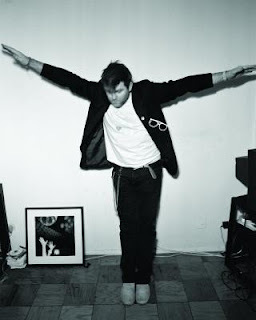 Check out Kieran's 2010 live review of LCD Soundsystem in Paris.